Nelly Hirst-Gee, Mimosa Willamo, Mikael Gabriel et al. Two boys and two girls will spend the night at Lake Bodom, where many years ago there were unresolved murders. Obviously, visiting a crime scene is never a good idea. 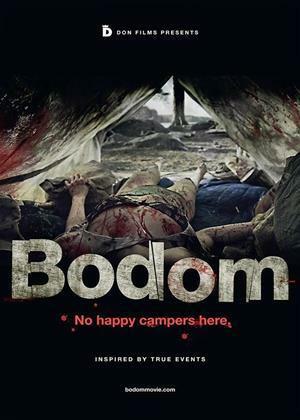 Although the premise of Lake Bodom sounds familiar, Taneli Mustonen gives a refreshing twist to this slasher, inspired by a real fact that shook Finland.